7 Things EVERY Girl Does At A Party!! All through the week, we wait for Friday night because it means...party!!! After the endless outfit trials, makeup and hair consultations, selecting the perfect shoes and accessories, we stride out with our glam squad for a night of endless fun. We bet every girl does these 7 things at a party! The first thing we do when we enter a party is greet our friends and then get in line for the washroom. After all, once we can confirm that we look just perfect, we are ready to kickstart the party! “Did you hear who Karan is dating now? !” Yes, we’ve all been there, done that. And what better drink to gossip over than a chilled glass of red wine sangria with a hit of fresh fruits? 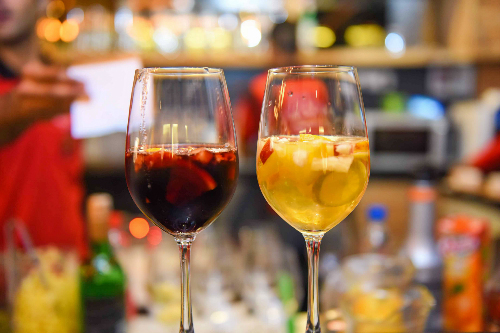 Our favourite kind is served at Barcelos in Hauz Khas Village - a lively joint serving Portuguese delicacies and the best sangrias in town! We know we’ll have to get in line. That’s why we bring along our besties - to keep us company. And if the washroom is big enough and well-lit, like the one at Barcelos in HKV, a whole tirade of “what-she's-wearing” ensues. It’s a real struggle, guys. 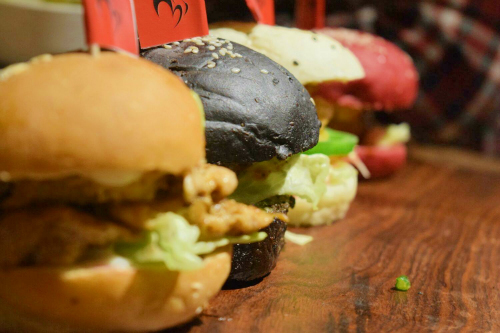 You’ll only get it when you’ve got a Barcelos Black Burger staring at you and your favourite lipstick on - it’s a challenge we’ve been failing for a long, long time. 6. DJ-wale babu, mera gaana baja do! ’Cause we wanna dance, dance, dance. While Bollywood music does get us shaking most times, we do appreciate a host of other genres as well. At Barcelos, HKV, we get a heady mix of retro and popular music that is hard to resist. So that we finally have an excuse to get close to them! Who knows what will happen next? 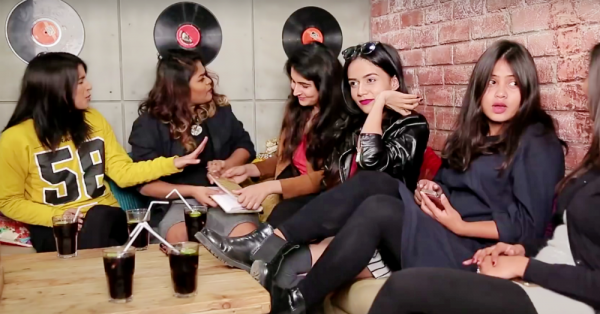 *wink* This video was shot at Barcelos in Hauz Khas Village and perfectly captures the different types of girlfriends we all have and how each one reacts to situations at a party. Watch this complete laugh riot below. * This is a sponsored post for Barcelos.